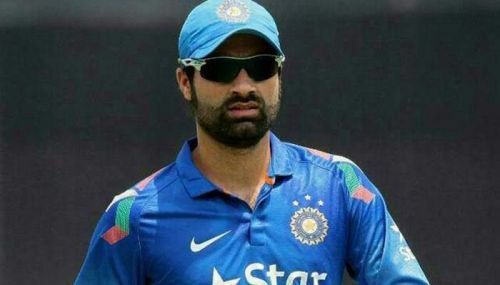 Having travelled all the way from the valley of Kashmir and made his way into the highly competitive Indian cricket team, Parvez Rasool has been out of the national scene for quite a while now. The all-rounder first got a national call-up in 2013 for India's tour of Zimbabwe. However, he didn't appear in any of the five matches of the series. Rasool then finally made his international debut in June 2014 against Bangladesh at Mirpur. The off-spinner grabbed a couple of wickets in the match but was left out of the playing XI for the rest of the series. The 29-year-old, however, continued to excel in the domestic circuit. He scored 629 runs and scalped 38 wickets in Ranji Trophy 2016-17, finishing as the top all-rounder in the country. On the back of these performances, Parvez was called back to the national side for the home T20I series against England. The right-hander played the first match where he picked up the wicket of English captain, Eoin Morgan. Since then, however, it has been all downhill for Rasool as he has remained out of contention despite doing exceedingly well at the domestic level. In the 2017-18 Ranji season, he again amassed 327 runs and scalped 28 wickets in six matches and also finished the 2018-19 season as the standout performer for Jammu and Kashmir. The off-spinner who bats in the middle order for his state notched a mammoth 684 runs in 9 matches including three centuries and two fifties. He also topped the bowling charts for his team, scalping 35 wickets at an excellent average of 21. Despite these astonishing numbers, Rasool wasn't included in the Rest of India and India A squads which the BCCI announced on Friday. Disappointed with the snub, Parvez conceded that he is doing all he can to get recognition. "As a player, the best I can do is perform and I have been doing that," he told Sportskeeda exclusively. The all-rounder also explained that he is unaware of what exactly needs to be done to get back into the national set-up. "I don't understand what are the yardsticks for getting a national call-up but I have a firm belief that hard work never goes in vain. I will try to perform even better and impress the selectors," he added. Apart from the stellar performances for his state, Parvez enjoyed some success representing India Red in the Duleep Trophy last year. He scalped 11 wickets in two matches, finishing as the second highest wicket-taker of the tournament. Despite the stellar numbers though, he has remained in the wilderness, sparking a debate over the selection policy of the BCCI, which has often been questioned by the state bodies. Most recently, Vidarbha's coach too questioned the selection of players in the India A team. As for the BCCI themselves, they need to start giving more weight to performances in domestic cricket for it is the real platform to produce international stars. Opinion: Why Priyank Panchal is close to breaking into India's Test squad? Where are Mumbai’s batting heroes?